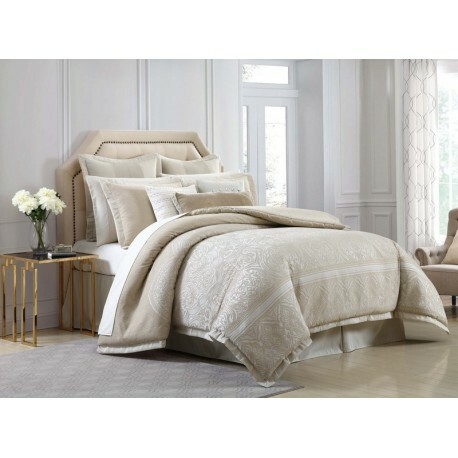 Traditional jacquard woven pattern with a subtle elegance in comforters and duvets. Traditional jacquard woven pattern with a subtle elegance. The soft colors provide a clean pallet for the finely detailed fabric used in the face of the comforters and duvets. The pattern features accessories that can be purchased separately help complete the room.